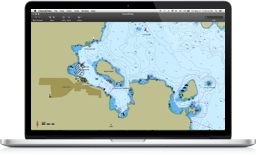 Supports GPS devices that transmit in the NMEA 0183 or GPSD format. Route navigation with automatic waypoint sequencing is supported. Supports AIS devices and Closest Point of Approach (CPA) computations and alerts, including spoken alerts. Set the CPA and TCPA and hear the computer speak the alerts to you!